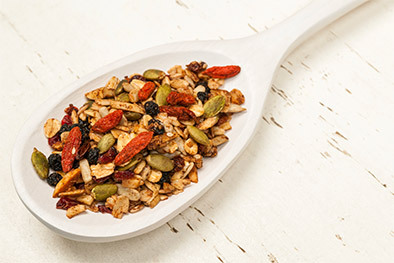 It’s no secret that nuts and seeds are packed full of protein, vitamins, and minerals, as well as healthy fats. However, in their raw form, they also contain phytic acid and enzyme inhibitors (to prevent them from sprouting prematurely in nature). We soak and sprout all our nuts to neutralize the acid and inibitors so your body can more easily access their natural nutrition.